Social networking can be fun. 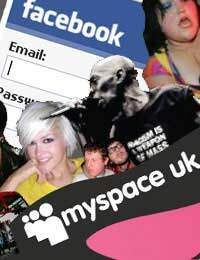 Sites such as Myspace, Twitter, Facebook and Bebo enable you to keep in touch with your friends and make new ones too. They enable to publish your tastes and opinions for the world to see, as well as allowing you to see what others are up to, interested in and talking about. Photos, videos and personal messages can also be shared. As the popularity of social networking sites grows, so do the risks associated with using them. Here are some tips to help you stay safe and secure whilst making the most of what the internet has to offer. It is tempting to think that by simply deleting an account, message or status update, you can remove from the public realm any information or opinions you might have posted. Always remember that photographs, messages and other content can be printed or saved. It is important to be selective when it comes to accepting friend requests from strangers. Fraudsters and identity thieves often create fake online identities in an effort to extract personal information from social network users. When logging on to social networking site, take care to type the site’s address directly into your browser. Alternatively, use your bookmarks. Simply clicking a link from another site or from an email may lead to you entering your details and password on a fake site, or ‘phishing’ site. Watch out for these scams. Hackers can break into your friends’ accounts and send fake messages. If you receive a suspicious message, do not reply to it. Contact your friend using another methos and let them know what has happened. Be sure to set your profile to private, in an effort to screen outsiders. This way, you can be selective about who you share your information with. Parents should consider insisting and routinely checking that their children’s profiles remain private. Talking to your children and ensuring that they know the potential dangers of social networking is one of the most important things you can do to protect their safety. Take time to discuss the differences between what is private and what is public with them. You should also talk about photographs and ensure that they know never to meet with someone they have met online. With the growing trend for sharing lives online, safety is sometimes overlooked. Make the most of social networking sites but ensure that safety is always a priority.